Sukhi is a passionate bodyworker and aims to relieve pain through conscious and healing touch. She has been trained in this art by the renowned Jing Institute of Advanced Massage, and as so have learned techniques fused from the West and the East, resulting in an amazing and effective, yet relaxing deep tissue massage. 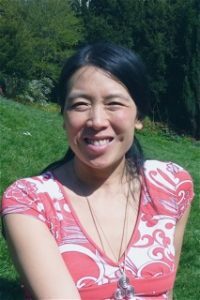 Her love of healing has led her to learn many different techniques within the sphere of Emotional Release through bodywork. With this experience she is able to recognise and can readily assist with emotions that are stuck in the body. Sukhi is also Aura Transformed. Clinical Pregnancy and Postnatal massage, Jing Advanced Massage Training for all 4 trimesters.